As Schecter’s take on the classic semi-hollow body electric guitar, the Corsair with Bigsby is neo-vintage six-string wonder with hard-edge modern features. The intuitive Bigsby B-70 tremolo bridge lets you stylize your riffs however you want by allowing you to shift the pitch up or down, as well as bend the pitch of single notes or entire chords. There’s no better way to add vibrato to you musical expressions. 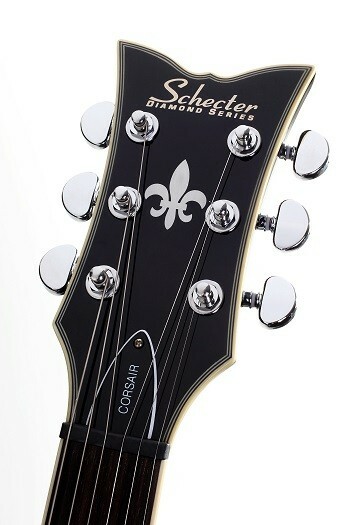 Paired with a Tune-O-Matic bridge with roller saddles, the Corsair stays in tune, even after extreme bends, as the Grover tuners provide stability and backlash elimination. 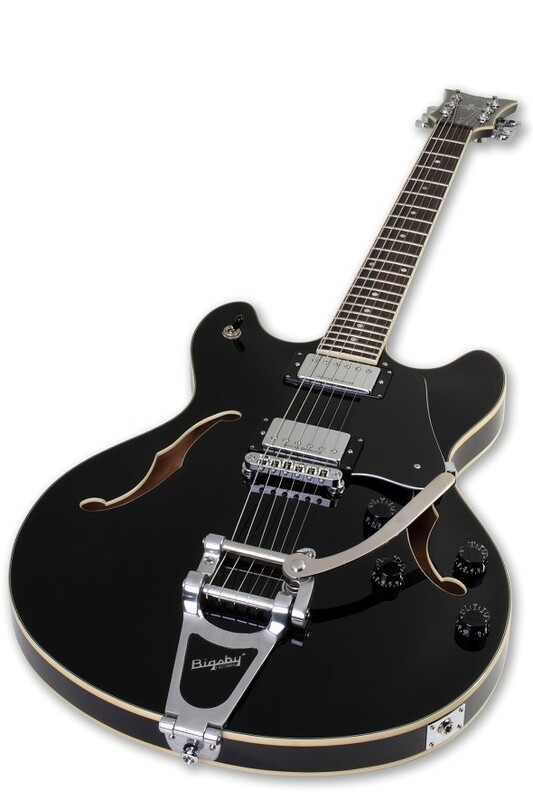 With a maple semi-hollow body, the Corsair produces crisp sounds and strong percussive overtones. The flat, three-piece mahogany neck and 22-fret ebony fingerboard give you a smooth playscape with low action. With F-shaped holes and Duncan Designed HB-101 humbuckers with a coil-top, you’ll be pleased with the huge tone the Corsair effortlessly turns out. When you order the Corsair, it has the perfect setup right out of the box, so you don’t have to wait before you can play. Pickups - Duncan Designed HB-101: The HB-101 was patterned after the Seymour Duncan SH-1 '59 Model™ humbucker set. It uses an Alnico 5 magnet and winding spec based on the revered 1955 - 1960 P.A.F. 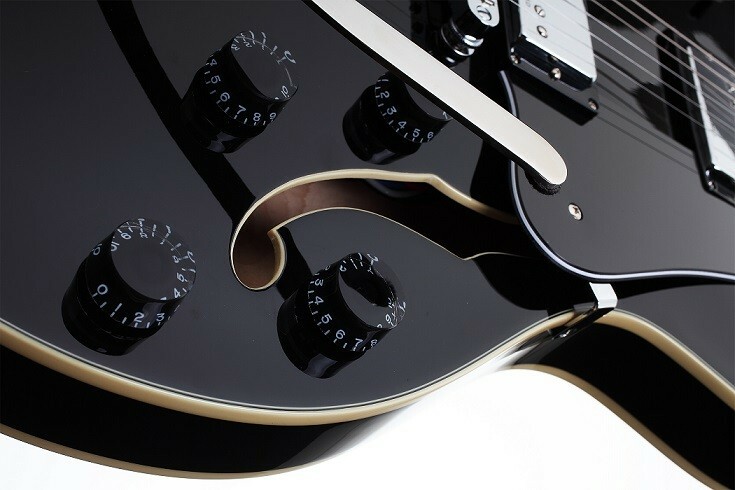 Bridge - Roller TOM w/ Bigsby B-70: Bigsby B-70 TRUE VIBRATO bridge allows musicians to bend the pitch of notes or entire chords with their pick hand for various effects. The pitch can be shifted up and down. Matched with a Tune-O-Matic bridge with Roller saddles keeps the tuning in pitch even in the most extreme vibrato bends. They have often been referred to in the Japanese press as the "American Beatles". In October 2007, the Illinois Senate passed a resolution designating April 1 as Cheap Trick Day in the state. The band was also ranked #25 in VH1's list of the 100 Greatest Artists of Hard Rock.